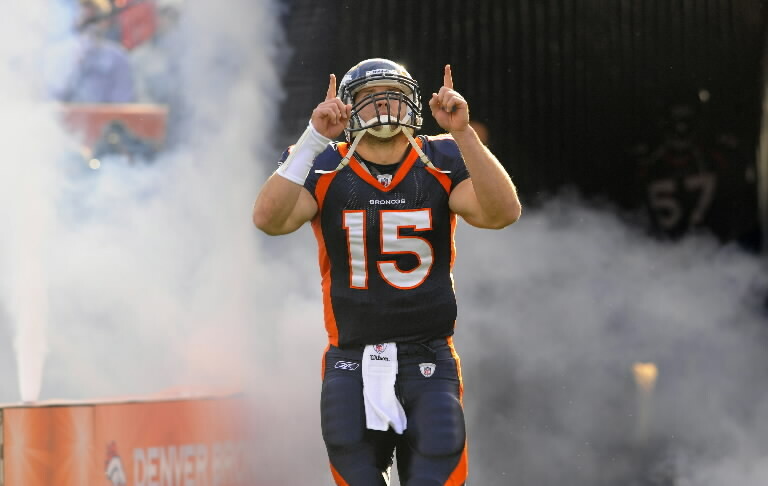 I love Tim Tebow – I just hate what his fan do with his success. It is irresponsible and un-Biblical. I have said before that I respect Tim and that he does not think God helps the Broncos win football games. Why I love Tim: He works incredibly hard, has an amazing energy, lives out his faith, and serves orphans. This guy is incredible! Why I hate his success: If you are in the NFL, you are gifted. Every player is extraordinarily talented … and I think that those talents come for God. I would prefer if we said that every player was blessed by God – some acknowledge it and some are quite vocal about. The assertion that God blesses one player more than another is where I run into the problem: that God is picking and choosing this person over that one – and interfering in this moment but not that one is a view of God that is irresponsible and indefensible. I will go as far as to say that it is somewhere between superstition and missing the entire point of Jesus’ life and message. This certainly is not a Christian view of God. Last week Tripp had a blog posted by Rachel Held Evans where he said that God was not omnipotent and that the future is not determined. In the TNT podcast that comes out today, Tripp and I talk about the line of reasoning that some people took in not only their objection to Tripp’s note but came to the defense of an omnipotent conception of God . Some people just came out and said “the book of Job shows that God is omnipotent”. This is a terrifying sentence to hear from a Christian. It is not a newspaper report. It is a dramatic presentation (broken into distinct acts). That God rewards those who do right and love God and punishes those who disobey and turn away from God … is exactly what the book of Job is written against. That is against the narrative of Job’s life story at the beginning and against what God says at the end. Christians believe that Jesus lived a perfect life – and was brutally murdered. I see that as the Death of Job’s God. That old concept of God died on the Cross. So the BIble doesn’t teach this view of God and the history of the world does not reflect this view. God does not reward those who are faithful and put down those who are evil. The evil prosper and the righteous suffer as much as everyone under that evil. We have to stop with this superstitious system of rewards and benefits that treats God like God as some sort of cosmic Gum-ball Machine. It is extremely hurtful and insulting. The part that baffles me is how prominent the view is among evangelicals … who make bold claims about being based on the Bible and ‘being Biblical’. This view of the interfering God who doles out blessing to ‘His’ favorites is a relic of the past that we must outgrow. This antiquated, superstitious view needs to die on the Cross so that the God revealed in Christ can be resurrected for our time.